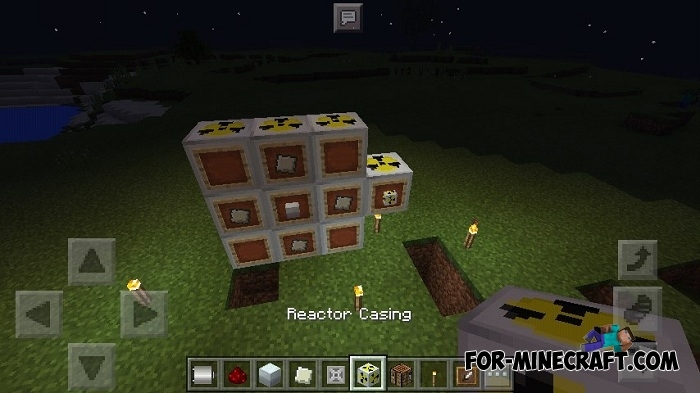 The Nuclear Reactor is an IndustrialCraft addon which adds nuclear power to your world. 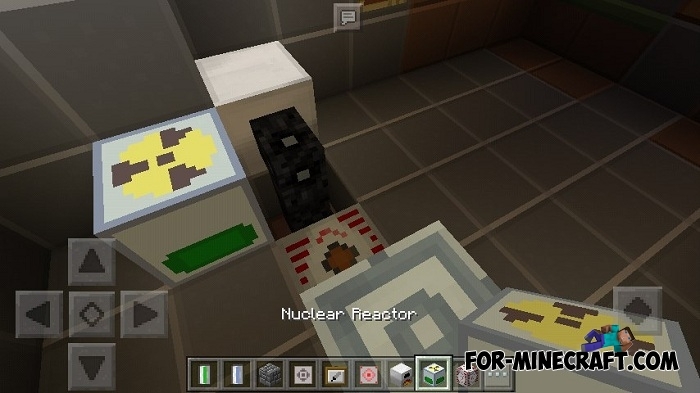 Craft a nuclear reactor and its components, place them in the active zone and get the most efficiency! 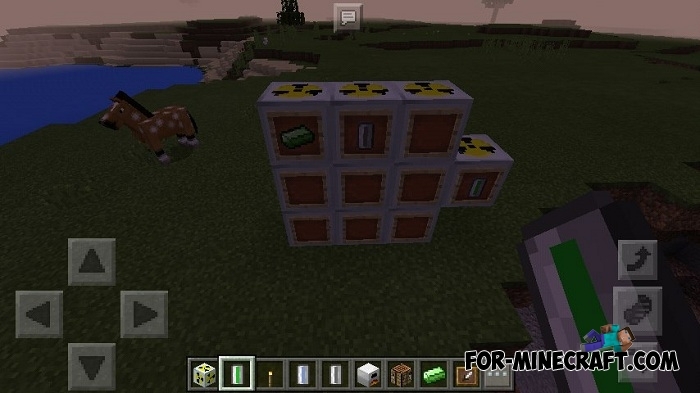 The reactor produces harmless energy that can be spent on different devices and mechanisms (if you install the IndustrialCraft PE mod). 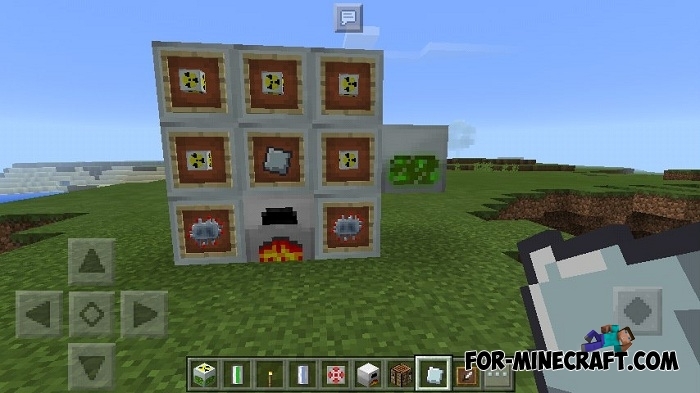 You really like this addon if you like to build complex mechanisms and use different energy. Nuclear reactor. Now the active zone is 5x5 cells. Uranium rod. It generates energy and heat. eU can be configured in the config file. Cooling capsule. Stores by default 1000 heat units (configurable). Collects heat from neighboring cells. Cooling system. Stores 50 heat units. It takes heat from neighboring cells and cools. Сondenser. Heat dissipation + 750 eT capsule. Each reactor cell stores 100 eT. If this limit is exceeded, the element in the slot heats the reactor vessel. The reactor stores 300 eT and 30000 eU. The addon has a library for working with the reactor. Most settings are configured in the config file. Crafting recipes are broadly consistent with the experimental ones on the PC. 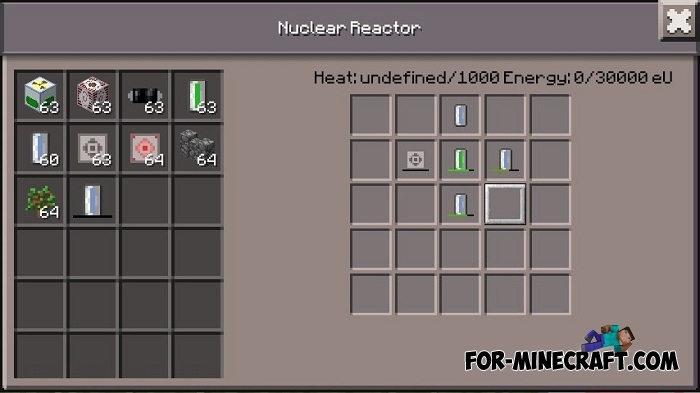 The nuclear reactor recipe requires 5 reactor chambers. The steel plate is in the cooling system instead of the motor. Uranium rods are made according to the pre-experimental recipe. Download the latest Core Engine (link). 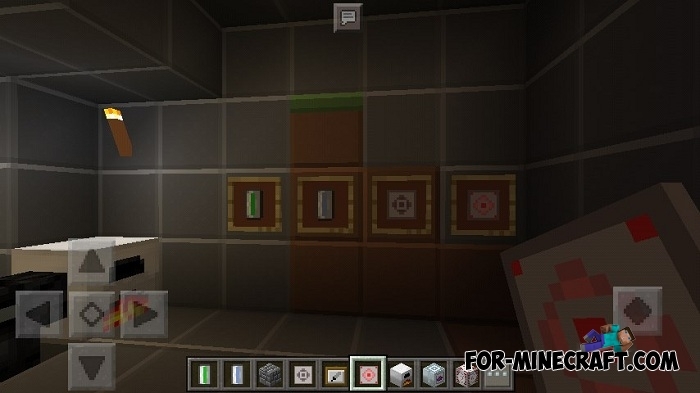 Install the latest IndustrialCraft PE mod (link). Extract the contents of the archive to the mods folder.